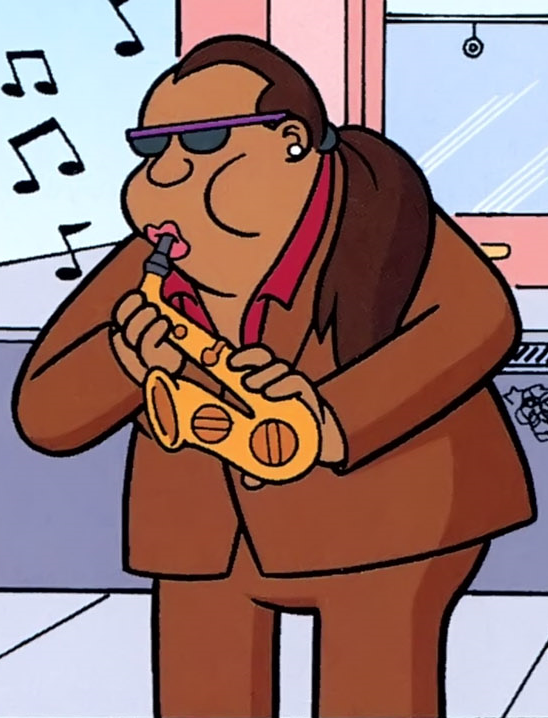 Flossy Murphy is a saxophonist and cousin to Bleeding Gums Murphy. She is the only one in her family with proper oral hygiene. Lisa meet her outside Luigi's and they starting to jam together. Flossy gave then her place at a gig to Lisa. When Lisa found out that they used the music from the gig for commercials she told it Flossy. Flossy told Lisa at it was therefore, she gave away it and she was disappointed that she took the gig. Modified on August 16, 2015, at 11:41.